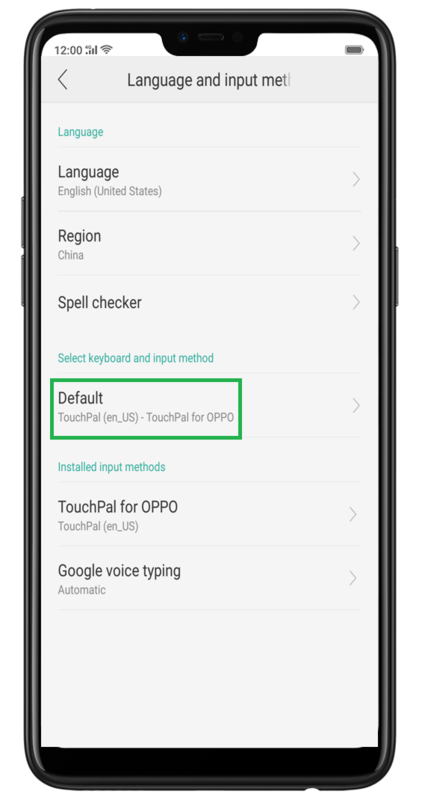 TouchPal Keyboard is the default keyboard on OPPO phones and many other Android devices. Developed by CooTek, this smart keyboard app uses an artificial intelligence (AI) engine and virtual assistant to make predictive typing easier and more accurate, along with 3D animated avatars and other fun features. A former Global Champion of the GSMA Mobile Innovation Awards and Google Play Best App of 2015, TouchPal comes as standard on all OPPO smartphones. Read this guide to find out how to use TouchPal and how to personalise your Android keyboard. TouchPal Keyboard is an innovative keyboard app that's standard on OPPO phones. Based on the QWERTY keyboard layout and 'T+' system that assigns two letters and one symbol to each key, TouchPal is designed for efficient typing with a highly customisable layout and settings. · Accurate text prediction – TouchPal uses a Neural Language Model (NLM) engine to autocorrect typing errors and predict word choices intelligently based on the context. · Choice of input options – Tap letters on the screen or slide between letters using TouchPal Curve. · Customisable themes – Personalise the keyboard layout with fixed and live themes or your own images to suit your taste. · Customisable layout – Choose between default, undocked, one-handed and split keyboard styles to suit your own typing style. · AI assistant – Talia is TouchPal's AI-powered assistant, who can suggest weather forecasts, currency conversions, dining recommendations and more based on your input. · AvatarMoji – Users can choose personalised 3D animated avatars, emoji cartoons and stickers to bring conversations to life. · BoomText – Customise animated GIFs with your own words to send more dynamic messages. · Clip board – Create your own keyboard shortcuts to enter common phrases without having to type them in full. How do I enable TouchPal keyboard? How do I turn on predictive text on Android? Predictive text should already be enabled on TouchPal. If not, you can activate it and choose the settings you want by going to [Settings] > [Additional Settings] > [Keyboard & Input Method] > [TouchPal for OPPO] > [Prediction]. How do I change my keyboard style? You can customise the appearance of your TouchPal keyboard by tapping the TouchPal icon on the keyboard or going to [Settings] > [Additional Settings] > [Keyboard & Input Method] > [TouchPal for OPPO] > [Look & Feel]. own theme or upload an image. · Change font size – If you prefer larger or smaller text, select [Candidate Size] in settings and choose small, normal or large. width of the keyboard or move it around the screen. Your TouchPal keyboard can be customised to suit your personal typing and texting style. You can choose between a standard layout, undocked keyboard, one-handed keyboard or split keyboard to use both your thumbs. Choose your preferred layout by tapping the TouchPal icon on the keyboard app. · Normal keyboard – The default keyboard style in a fixed position. · Undocked keyboard – The keyboard can be dragged where you want it on the screen. · One-handed keyboard – Choose a left-handed or right-handed keyboard to type with one hand. · Split keyboard – The keyboard divides in two, enabling more rapid typing. How do I change the keyboard language? TouchPal supports more than 100 languages for typing and mixed language prediction. To change the default keyboard language, go to [Settings] > [Additional Settings] > [Keyboard & Input Method] > [TouchPal for OPPO] > [Languages] and select the language you want. To switch between languages as you type, tap the TouchPal icon on the keyboard app and select a language from the language menu. You can also change languages by swiping on the spacebar. To add new languages to TouchPal, open the language menu and tap [Add language]. The language you choose will now be available to use. How do I change keyboard settings on Android? How do you update your Android keyboard? Go to [Settings] > [System Updates] or [Software Updates] to check if a new version of TouchPal is available. You may also be notified if a new version is released. To download the latest themes, buzzwords, fonts and other features, tap the TouchPal icon on the keyboard app and select [Trends] to see what's available. How do I change from TouchPal to Android keyboard? If you prefer to use the Android keyboard or another keyboard on your OPPO phone, you can change your keyboard option in the phone settings. How do I get rid of TouchPal? 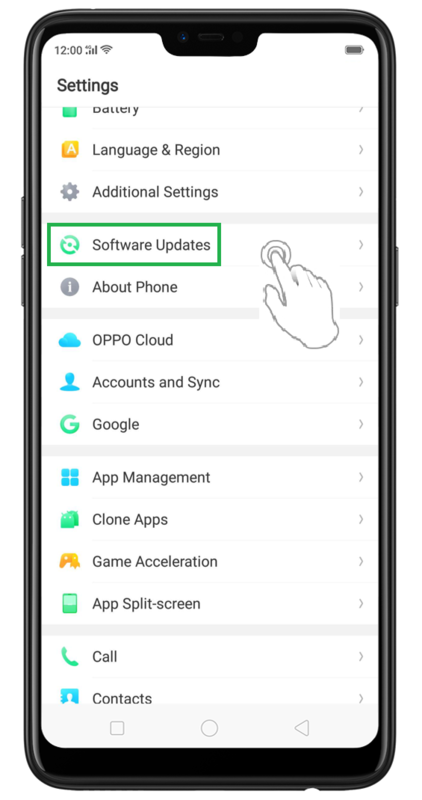 If you don't want to use TouchPal Keyboard on your OPPO phone, you will need to make sure you have a replacement keyboard app before disabling it. Go to [Settings] > [Additional Settings] > [Keyboard & Input Method] > [Current Keyboard] > [Choose Keyboards] to see if other options are available, or download a keyboard app from the Google Play Store. How do I get rid of TouchPal language pack? 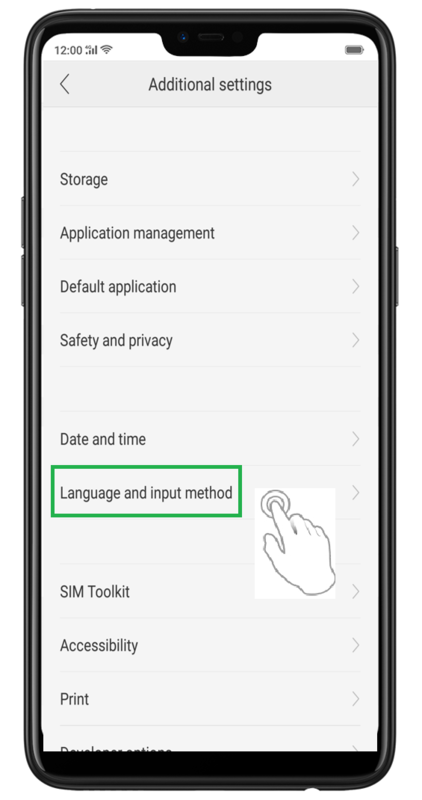 Disabling TouchPal on your OPPO phone will not remove any installed language packs. To do this, follow the steps above to see the full list of language packs and skin packs in the app settings list, then manually select [Disable], [Force Stop] and [Block All] for every entry. If your TouchPal Keyboard is not working, try these quick fixes. until you see the OPPO logo, then check if the app is working normally. > [Storage Usage] > [Clear data] and [Clear Cache]. 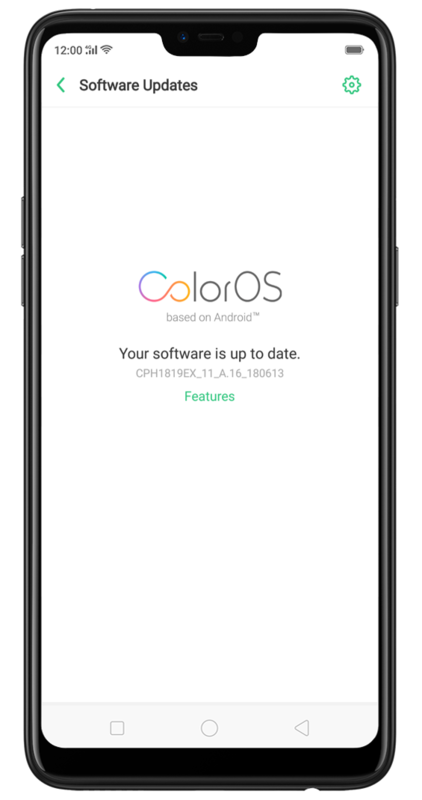 Earlier ColorOS versions may have different paths. email will be sent to the support team, who may be able to assist you. 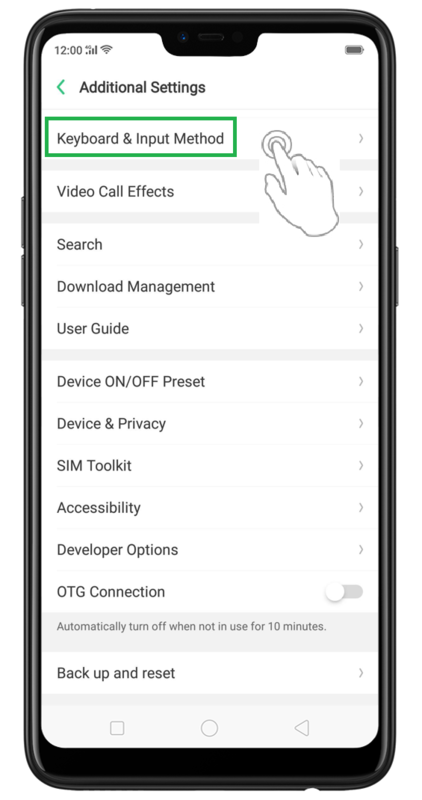 Which OPPO phone has TouchPal? 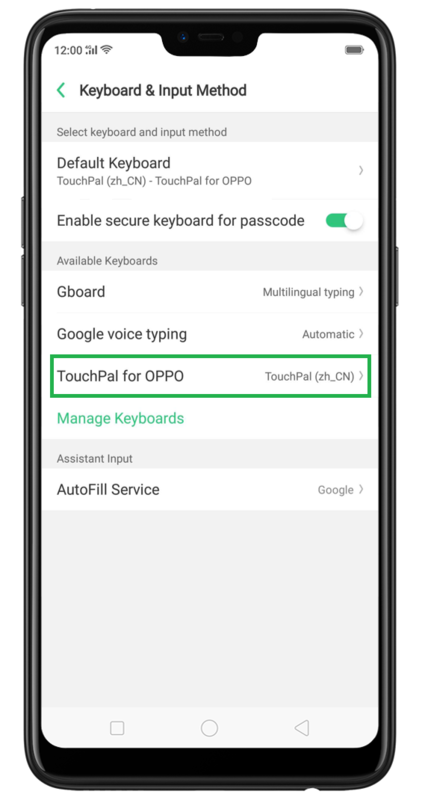 TouchPal Keyboard is the default keyboard for all OPPO phones, from the affordable OPPO A3s to the premium R17 Pro and Find X. Compare smartphones today to find the ideal device for your needs.